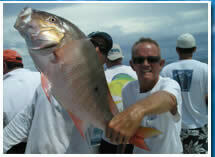 Deep Sea Fishing is our passion! 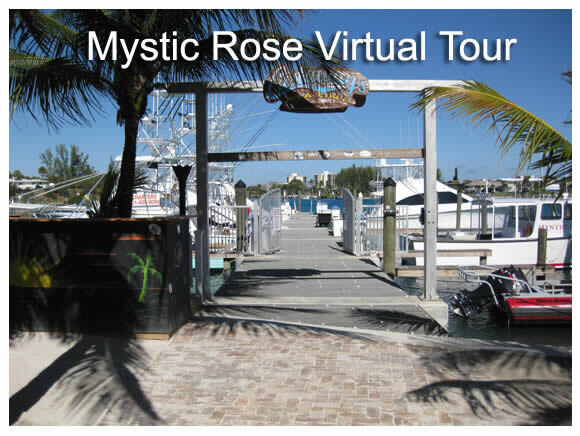 Scroll over each image to see images of the Mystic Rose deep sea fishing boat, an image from Jupiter, Florida inlet home to the Jupiter Lighthouse , and an image of Square Grouper Castaways marina. The Jupiter Lighthouse has an amazing history which can be read here at Wikipedia. Our Fishing vessel is kept extremely clean. We take pride in the appearance of our fishing vessel, as well as our clean restrooms. 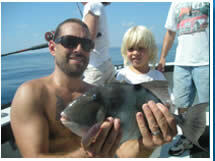 We understand the importance that a clean fishing vessel makes in a fun day of deep sea fishing. As you can see, there is also plenty of seating space for fishmen who need a break from fishing or for when the fishing vessel is moving and not fishing. Not only do we take great pride in the condition of our deep sea fishing vessel, we take even more pride in catching you great fish. We are not in the business of taking people for boat rides. 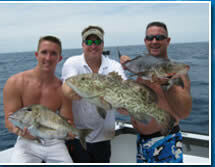 It is our MISSON to catch you fish when taking you deep sea fishing. Let's go fishing! Please contact the Mystic Rose Fishing Charters with ANY deep sea fishing questions. 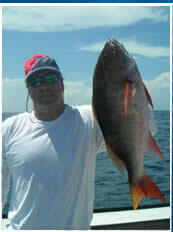 Feel free to give us your feedback about our deep sea fishing website or deep sea fishing business. You can also use the above link to request a deep sea fishing charter or check availability for a deep sea fishing charter on a certain date. We look forward to taking you fishing off the coast of Jupiter, FL and West Palm beach, and to give you a great deep sea fishing excusion. Let's go fishing on Jupiter's finest!